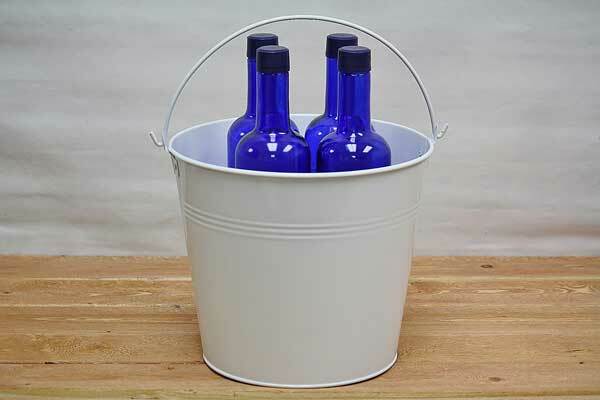 These classic colored pails are lightweight and come in galvanized steel and white, colors guaranteed to match any color scheme. They can be used as a decorative fruit basket or storage for your child's bedroom or playroom. Additionally, you can fill them with hats, gloves, and scarves and keep them by the door for chilly winter days. We also offer a smaller 5 quart bucket in a variety of 16 solid colors and optional storage lid to suit your every need. These similar 10 quart steel buckets are also available in 16 colors.